I love when my fiction and nonfiction reading converge thematically, and it just happened again for me this week, when I finished Ben Winters’s astonishing 2016 novel Underground Airlines. In all honesty, I almost put it down three times. I was already familiar with his Raymond Chandler-esque voice from The Last Policeman (fun, but gets old), and I struggled a little with the proselytizing about race in particular. (IMO, the protagonist would be smarter about these things, even though I get that the noir hero wants to be duped or at least has a blind side.) However, I plugged away, practicing patience, and boy oh boy was I rewarded. The end is quite a surprise, and one you don’t see coming. 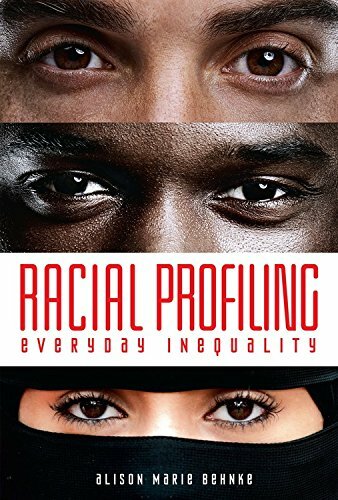 I won’t give it away, but let’s just say that, as a novel about deep racial injustice set within a technologically advanced dystopian America, it is a perfect pairing for nonfiction works that tackle racial profiling and our very real fears of losing our humanity, both literally and figuratively. 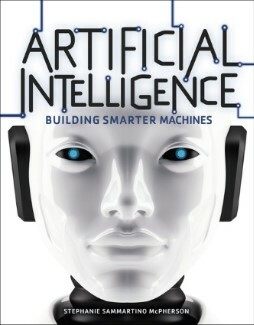 If your YA students are interested in alternative-history fiction books–and especially if they’re looking for something to read after finishing Winter’s Underground Airlines–you’ll want to hand them a copy of Alison Marie Behnke’s Racial Profiling and Stephanie Sammartino McPherson’s Artificial Intelligence. Both pub this fall with Twenty-First Century Books and both touch on similar themes. 1. Can they make the thematic connections between the fiction and the nonfiction titles? 2. Ask them about Winters’s vision. Is he onto something or not? 3. Can they expand the reading list to include other fiction and nonfiction titles–and movies–about similar topics? 4. And is this future (or present) fearful or promising? These are the questions I see us all struggling with in the twenty-first century. Fortunately, fiction and nonfiction books are here to help us.